Do you know how to block a phone number on your smartphone? If you’ve ever received an unwanted or suspicious phone call, you are likely doing research to learn how to block a phone number. Effectively blocking a phone number can be difficult, as there are many ways around some of the most well-known solutions to stopping unwanted calls. Why is learning how to block a phone number important? What types of unwanted calls are out there? How can you block a phone number on iPhone? How can you block a phone number on Android? What is the best solution to manage my unwanted call problem moving forward? Learning how to block a phone number is important for these reasons. If you’ve ever been a victim of phone harassment or phone fraud, you know the importance of always knowing who is calling. Learning how to block phone numbers effectively is extremely important to protect yourself from the dangers and interruptions of phone scams and phone harassment. Before you learn how to block a phone number, it’s important to understand the different types of phone calls you may be looking to block. Unwanted calls come in many forms and come between our relationship with our smartphones. Though each unwanted call has its own level of complexity, they all have one thing in common – to threaten our sense of security. Telephone harassment occurs when someone uses phone calls to annoy, harass, or threaten you. This can include making a telephone continually ring, inappropriate comments or suggestions, or other forms of verbal intimidation. Though most times these calls can come from people that you know, they can also come from stalkers or ill-intentioned strangers. Blocked or no caller ID calls are calls that have completely masked their caller ID. Because there is no phone number behind the blocked call, stopping these calls can be difficult. Blocked and no caller ID calls can either be from people that you know or don’t know. In our experience, if someone is blocking their phone number to call you – there is likely not a great reason for it. Robocalls are phone calls that use a computerized autodialer to deliver a pre-recorded message, as if from a robot. The most common types of robocalls are often associated with political campaigns, telemarketing phone campaigns, or emergency announcements. Robocalls can also be fraudulent, such as those from the IRS or business loan offers. Spam calls are irrelevant or inappropriate phone calls sent to a large number of recipients – typically who have not expressed interest in receiving the message. The most well-known types of spam calls are telemarketing calls, cold calls, and phone scams. There are many types of unwanted calls you may want to block on your smartphone. Each type of unwanted call comes with its own set of challenges when trying to effectively block the phone number it originated from. In the next section of our post, we will highlight why some of the recommended solutions to block a phone number may be ineffective to stop your unwanted call problem. While it is true that Apple offers basic phone number blocking by default, but the unfortunate reality is it’s fairly ineffective to block most forms of unwanted calls. Can you guess why the above solution may be ineffective? First, if you’re experiencing issues with a blocked caller, there is an easy solution to override Apple’s default blocking functionality. If someone still wanted to call you, all they would have to do is call you blocked by dialing *67 before your phone number and voila! They can reach your phone and voicemail. This solution also poses a challenge if you are trying to stop spam calls. Caller ID spoofing, the technology that allows you to place a call from a caller ID that is not truly your own, makes it easy for phone spammers (especially those looking to steal from you) to call you from a fake number. Each time they call, it is a unique phone number that you likely do not have on your block list. So, no matter how many times you try to add these phone numbers to your block list, spammers will still be able to reach your phone. Android also offers default call blocking to block unwanted phone numbers from reaching you, but much like the iPhone, is no match for the complexity of blocking most unwanted calls. The same issues with the above solution hold true for Android as they do for iPhone. If you block someone’s phone number, it is easy for them to override that by calling you from a blocked phone number. If you try to block a spam call, you’re only blocking the fake phone number – not the spammer themselves! Both types of unwanted calls will continue to persist if you follow the above steps on Android. Downloading a call blocker app is the most effective solution to dealing with your unwanted call problem because it puts the power in your hands. The best call blocker apps allow you not only flag and block phone numbers, but also provide a suite of tools that can hold the offender accountable. Many times, people that call from blocked numbers have ill or illegal intentions. Unfortunately, most call blocker apps cannot unmask the real phone number behind those blocked calls. By downloading a call blocker app that offers blocked call unmasking, reverse phone call lookups, and phone call recording – you can solve this problem and take back control of your phone. Call blocking apps such as TrapCall provide the toolkit to make recordings of unwanted phone calls, identify exactly who is calling, and record the contents of the call to provide evidence of fraud or harassment. We highly recommend signing up for TrapCall as the best solution to stop unwanted calls for good. 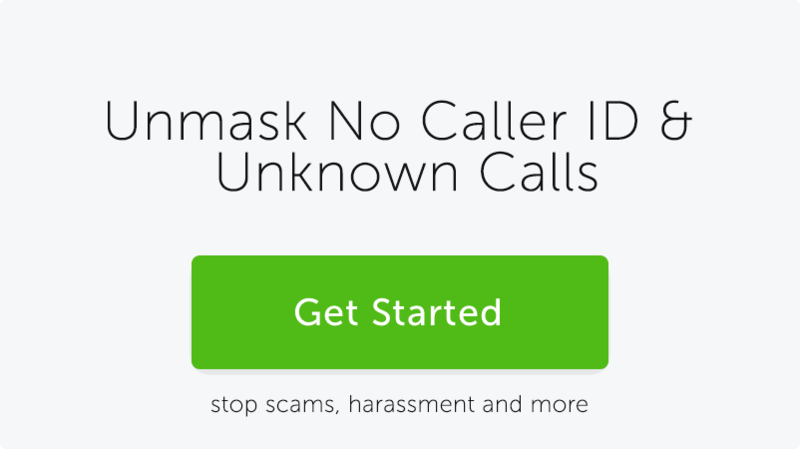 TrapCall is the only call blocker app that provides you with the essential toolkit to combat unwanted calls, scam calls, and phone harassment. With TrapCall, you can easily hold callers accountable for their phone crimes and abuse. TrapCall users enjoy features such as spam call protection, personal blacklist and whitelists, blocked call unmasking, reverse phone lookups, incoming Caller ID, and phone call recording in our Premium and Ultimate packages. TrapCall is an easy investment that ensures your privacy and personal information are protected from unwanted callers. Click here to get started using TrapCall today!